Hospitalization is nearly always the result of a sudden, unexpected event. So how do you plan ahead to keep yourself safe in the event that a health emergency lands you in the nearest emergency room? What steps can you take to stay healthy in the hospital as a celiac or gluten-sensitive patient? 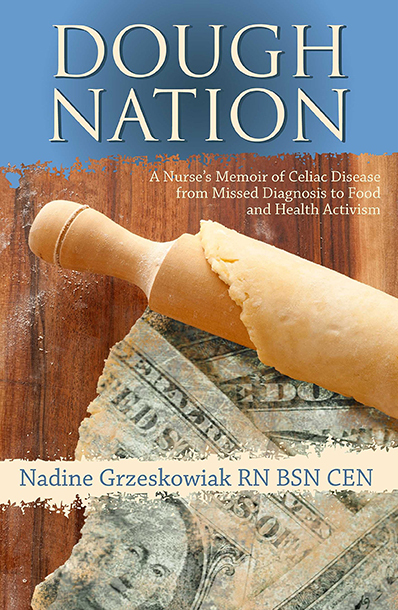 Thanks to a listener suggestion and Nadine’s recent experience with a client recovering from surgery, the Gluten Free RN is addressing the cross-contamination risk in hospital kitchens and the nutrient-deficient foods available in hospital gift shops and vending machines. She also covers the responsibilities of the pharmacist to ensure that medications are gluten-free as well as resources you can use to verify that your prescriptions are safe. Listen in as Nadine explains the significance of having an advocate with you at the hospital, who can prevent inadvertent gluten exposure and bring in the nutrient-dense food you need to heal. Learn how to communicate your needs as a celiac patient to resistant doctors, nurses, pharmacists and RDs, and plan ahead to stay safe and healthy—even when you’re in the vulnerable position of being in the hospital.